The SAHB Spring Seminar was held at Wroxall Abbey near Coventry on 29th April 2018, after a jaw-dropping tour of the Jaguar Land Rover Classic facility in Ryton on the Saturday. James Mac Hulbert: ERA R4D and me – the vivid and breathtaking journey through the history of the most famous ERA of all, and Mac’s exploits in it in the 15 years of his custodianship from 2000 to 2015, with (loud!) film from the car proving just how brilliant a combination Mac and R4D were. Finally: if Karl Ludvigsen is going to give a talk on Reid Railton, then it would be rude not to bring a Railton along – so Neil Thorp did! 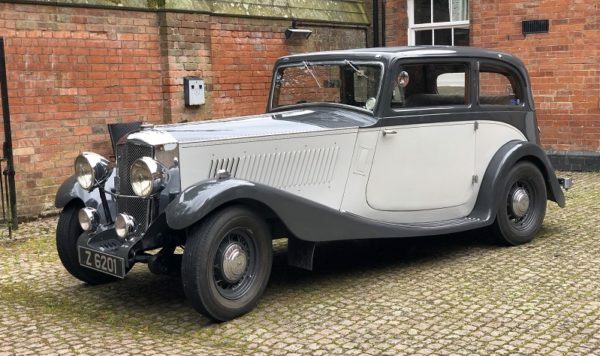 And sincere thanks are due to John Dyson for providing the Railton for Neil to bring.